Opting Out of Individual Mandates? Benjamin Domenech, a former speechwriter and political appointee at the Department of Health and Human Services, is managing editor of Health Care News. At the Patrick Henry Building in Richmond today, Virginia Gov. Bob McDonnell signed the Virginia Health Care Freedom Act, flanked by Attorney General Ken Cuccinelli and VA Health Sec. Dr. Bill Hazel (the former head of the Inova system) among others. "We all agree that we must expand access to quality health care and reduce costs for all Virginians. However, that should not be accomplished through an unprecedented federal mandate on individuals that we believe violates the U.S. Constitution," said McDonnell, who was also careful to point out that the act received the votes of leading Democratic state senators and the Democratic House Minority Leader. 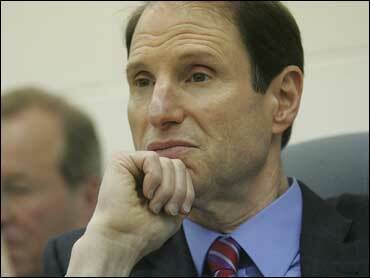 But Sen. Ron Wyden has an interview with the Huffington Post today claiming that acts like the one McDonnell signed (pending in 30+ states as ballot initiatives or amendments) and the associated legal threats from Attorneys General over the individual mandate are pointless, given that states can simply "opt out" of the individual mandate requirement. Update from Wyden's office added below. Speaking to the Huffington Post on Tuesday, Wyden discussed - for one of the first times in public - legislative language he authored which "allows a state to go out and do its own bill, including having no individual mandate" … provided that, as Wyden puts it, "they can meet the coverage requirements of the bill." "Why don't you use the waiver provision to let you go set up your own plan?" the senator asked those who threaten health-care-related lawsuits. "Why would you just say you are going to sue everybody, when this bill gives you the authority and the legal counsel is on record as saying you can do it without an individual mandate?" Sen. Wyden is one of the few politicians in either party who understands health care policy, and he's an honest, smart, and hard-working guy. But there are a number of problems with what he is saying here, even if we take it seriously. The Wyden language - found in the bill here (side note: I actually think some of this language originates from a Maria Cantwell amendment in the Finance Committee, and called Wyden's office to confirm, but they haven't gotten back to me yet) - provides, as he says, that "if a state can demonstrate that they can meet the criteria - particularly on cost containment, improving the delivery system," they can get a waiver from the Department of Health and Human Services. It would be up to Secretary Sebelius if this was in force today to determine what criteria must be met. I checked with my colleague at Heartland, senior legal fellow Maureen Martin, about this. She says that "Senators can say whatever they want about what statutes mean. Whatever they say is irrelevant. In the end, the courts will decide what statutes mean. Whatever Congress or the President say about the meaning of statutes is totally irrelevant. Courts look at the exact language of statutes and decide what they mean. So intent of Congress is irrelevant. It matters only what the statutes say and how that is interpreted. I'm not sure this point is well understood by the public." There are of course a number of questions to be raised here about standing, but also about whether the waiver is adequate protection if it is only possible for a five year gap, and subject to the discretion of the HHS Secretary. My colleague John Graham at the Pacific Research Institute points out that "applying for a waiver" is not the same as "opting out" - he presumes the HHS Secretary would grant a waiver if a state imposed single-payer, such as in California and some other states. Yet even presuming states wanted to do something pro-market, they would only be able to apply for these waivers starting in 2017, and the waivers in question would have to meet standards for "cost containment" and "improving the delivery system" - standards which can be very fluid. As with any regulatory issue that shifts at the whim of the party in power, this will almost certainly lead to more litigation as to what all of these terms mean for the states in terms of tangible, measurable standards. Nor can states be made exempt from the tax increases for individuals and employers, the cuts in Medicare, the newly expanded unfunded liabilities in Medicaid, and a host of other aspects of this bill. Of course states could set up their own programs to cover people, but that would be a waiver almost no state would want to accept, given that they can't prohibit their taxpayer dollars from going to fund this reform elsewhere. That's hardly a full opt out. What's more, an exemption from the individual and employer mandates really can't take place at a state level without raising a host of other legal issues. The whole point of the health freedom act in Virginia is not that the state is acting in its own defense, but that it requires the state to act as a legal matter in the defense of an individual being compelled by the federal government to purchase a product or suffer a fine. I'm unconvinced, and I assume the AGs are as well. Wyden's statement is essentially offering a political answer to a Constitutional question. Saying that these legal issues are unimportant because a state government may exempt its citizens from the individual or employer mandate requirements doesn't help a citizen or employer whose state fails to act. Taken as a whole, one thing is clear: a lot of lawyers and judges will be answering these questions in the months and years to come. Update: The very pleasant folks at Wyden's office got back to me. Here's the answer on how the exemption would work: you could only get an exemption approved by the Secretary of HHS if you prove you can cover more people with your non-individual mandate plan, while also meeting their new requirements for coverage (in other words, not by turning to a catastrophic + HSA plan or something along those lines). In other words, it is hard to see all but a few rare circumstances where a state would apply for this exemption and move toward a pro-market solution. You would have to prove that you would have a greater number of people purchase a product than you would by legally requiring them to purchase that product. Reprinted with permission from The New Ledger.